The choice and unique character of our local shops and businesses is greatly valued, not least because small businesses provide almost two-thirds of all private sector employment and almost half of private sector turnover. Each year, we get the chance to celebrate the best that is local on Small Business Saturday. Small Business Saturday 2013 proved a £500 million boost to local firms across the country and is set to be bigger and better this year. This year Small Business Saturday falls on December 6 and I want to visit as many local businesses as possible on the day to show my support and publicise the great work they do in our communities. Of course, local shops and traders across Liverpool Wavertree make some fantastic offers throughout the year and have the local knowledge to provide a personalised service all year round. Small Business Saturday gives us all the chance to show our support and get behind the people who make it happen. 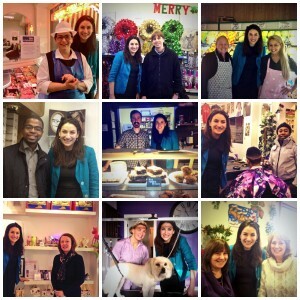 I had a fantastic time out and about across the Wavertree constituency during last year’s Small Business Saturday and want to ask now – nice and early – for suggestions and feedback about where I should visit this year. I’ve already spoken at the Liverpool Chamber of Commerce urging business and community leaders to get behind the initiative this year. Now, I want to ask you for suggestions about which businesses I should visit on the day. Please let me know the local shops, services and firms which offer a fantastic service.